This is not my first time to Alfred’s Kitchen. The family and I have been here on many visits and the drive down from the North to Guildford is worth it! The burgers may not be like your average gourmet burger but the burgers at Alfred’s are really tasty, hearty and oh so good. What do we usually order? 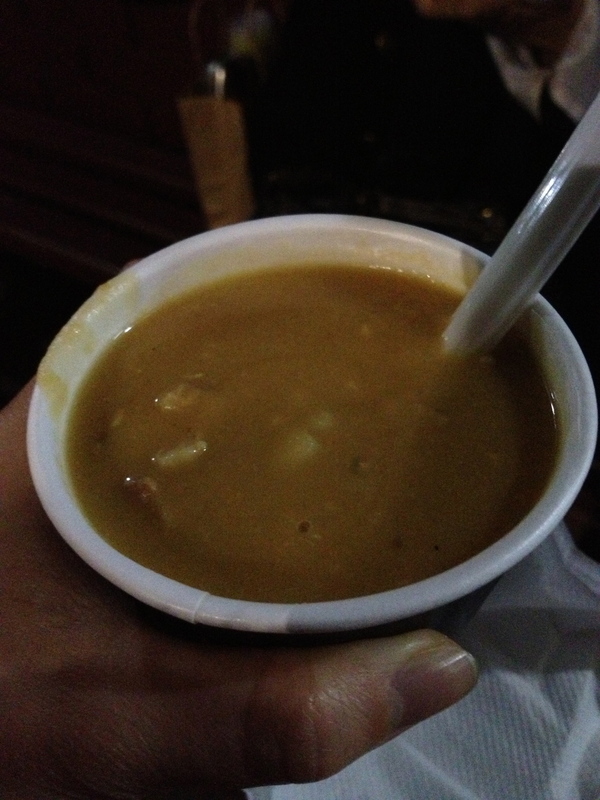 To start off, we have a Large Pea and Ham Soup ($6.50). For our burgers, dad usually orders the CRAM ($14.10) and mum and I would usually share an Alfred Special ($11.10). The Pea and Ham Soup is heart warming and lovely. Drink it on a cold night and your tummy will be warm and happy. Both the CRAM and Alfred Special burgers are delicious! 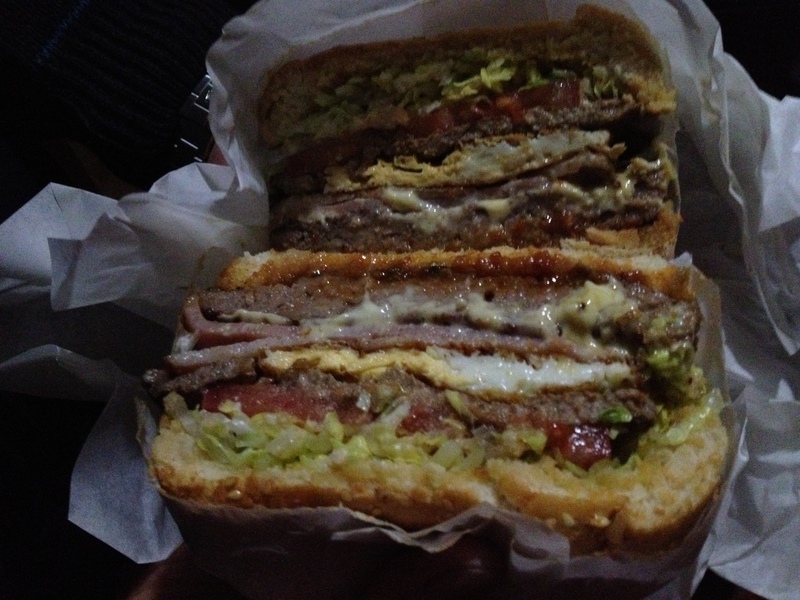 The CRAM burger is basically a steak hamburger with egg, cheese and bacon. It is one hearty, massive burger with generous fillings which is quite fitting for the name “CRAM”. 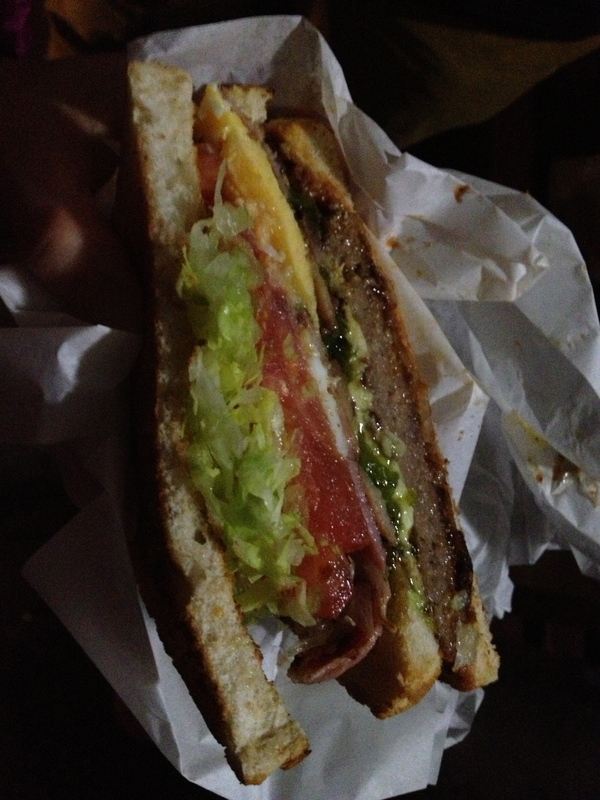 The Alfred’s Special is like a steak sandwich which also consists of bacon, egg, pickle, bacon, lettuce, tomato, cheese. Like the CRAM, the Alfred’s Special was also very generous in portion (that’s why mum and I usually share!) and the ingredients were fresh and flavoursome. If you have not been to Alfred’s Kitchen before, now is time go and give the burgers and ham and pea soup a try. Even Matt Preston, one of the judges from Masterchef Australia has given his thumbs up on the burgers here – his favourite is the CRAM. Whether you are coming after your night shift or just looking for a supper run, Alfred’s Kitchen caters for all and their burgers have been enjoyed by many. One handy tip – Alfred’s Kitchen only opens from 5pm onwards 7 days a week!